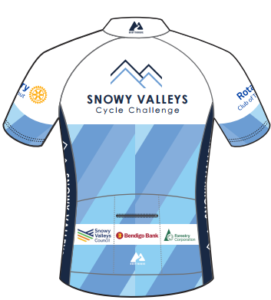 Be part of the event with a Snowy Valleys Cycle Challenge cycling jersey! Classic cut, Airlight fabric, full zip, silicon edged and back pocket zip. 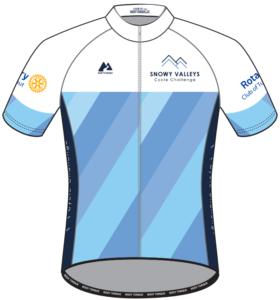 Inspired by our clear air, blue skies and mountains Snowy Valleys Cycle Challenge has created unique riding jerseys that will be available for entrants in the event. Saturday 23 March 2019 at Adelong Showgrounds between 3.00 pm and 5.00 pm with rider pack. There will be a limited supply of jerseys available for purchase on the day! Please ‘click’ link on main merchandise page – if you have any queries please contact us with your questions, we are happy to help.